A profound meditation on personal power and innocent dreams that are manipulated or undone by success, The Winner Stands Alone is set in the exciting worlds of fashion and cinema. Taking place over the course of twenty-four hours during the Cannes Film Festival, it is the story of Igor, a successful, driven Russian entrepreneur who will go to the darkest lengths to reclaim a lost love - his ex-wife, Ewa. How do we find the courage to always be true to ourselves, even if we are unsure of who we are? The Witch of Portobello is the story of a mysterious woman named Athena, told by the many who knew her well - or hardly at all. "People create a reality and then become the victims of that reality. Athena rebelled against that - and paid a high price." "Athena's great problem was that she was a woman of the 22nd century living in the 21st. Did she pay a price? She certainly did. But she would have paid a still higher price if she had repressed her natural exuberance. She would have been bitter, frustrated, always saying, 'I'll just sort these things out, then I'll devote myself to my dream,' always complaining 'that the conditions are never quite right.'" Like The Alchemist, The Witch of Portobello is the kind of story that will transform the way listeners think about love, passion, joy, and sacrifice. 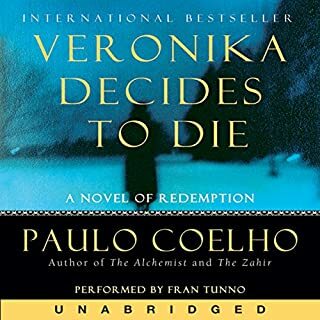 Although I admire the intent behind "The Witch of Portobello," I was disappointed that a writer as significant as Paulo Coelho was not able to create what I suspect he intended. I have to acknowledge how hard this kind of book is to write: a "message" book that assumes this kind of narrative structure is just asking for trouble from the get-go unless much more developed. Coelho has an initially unnamed "reporter" collect narratives from several people whose lives touch "The Witch's" and we readers are to believe that Athena (how is that for cliche name!) profoundly impacts life after life when she is depicted as a two-dimensional character whose new age style pronouncements and teachings are meant to stir the reader and those who come into contact with her with soul-moving prophecy and rapture. I think it's possible to write such a book, but it's extraordinarily difficult, and it doesn't work here. The New Age pronouncements come across as thinly-disguised authorial preaching. Messianic characters only work if you believe in them -- okay to dislike them-- but in this case, the entire atmosphere feels so very false. 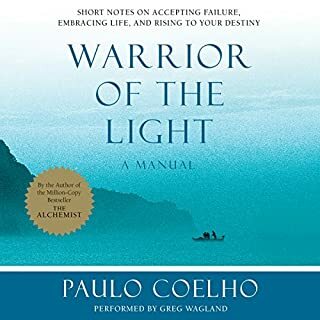 I think Coelho could have taken a more mythic approach and this novel could have worked, he could have made of this novel a much deeper sort of fable or parable, or he could have fully developed a gritty, more fully realized novel. But he didn't take this book in any of those directions. He mixes too much of the mundane with cliche and platitude so that the book becomes to me, a muddle. I wish he would have pushed the book further in one direction or another, but as it stands now it's a raw sketch that doesn't work. A tale spun in a way that gets you thinking and then rejoicing. A necessary "hearing" quite revealing, amazing, thrilling and well done! Paulo writes with a passion to transform. This tale uncovers the feminine side of God. A MYTH = A dance with a thought that never was. THE WITCH OF PORTOBELO = An allegory, or Cohelo's tremendous interpretation of a meaning other than a literal definition. An honest woman, unlimited, untamed, and free to connect with the sacredness of being female. The heroine, a woman disentangled from the "shoulds" and "musts" in order to lavish in the eternal delight of being true to that which needs no explanation. "The Witch of Portobello" is a daring response to an unconventional spiritual path. Living the RICH extreme opposing emotions of: the sensual and, the pure. The thin, the fat. The depressed, the enthusiastic. The believer, the naysayer. The wife, the divorcee. The saint, the sinner. The physical, the spiritual. The word witch is full of judgement and prejudice in the religious world. This story speaks to the courage it takes to leave the tribe, to wonder, to explore - without guilt, that which one is drawn to. Authentic living at large, laughing, and enjoying the thrill of a full range of emotions is the choice of the Witch of Portobello. 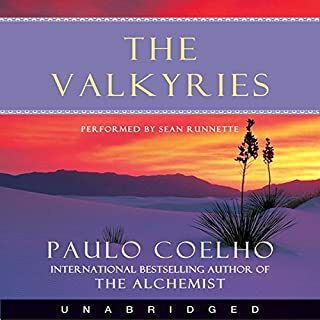 I loved the Alchemist, but this book was just awful. 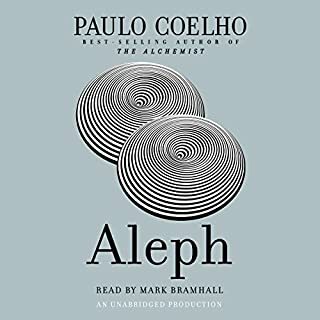 What was so genius about the Alchemist is that it was an interesting story that taught you something. this story was way too heavy handed and just plain dumb. What a disappointment. Not a favorite but still good. 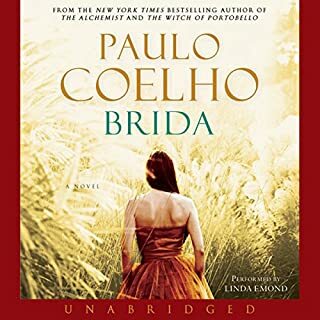 This is a typical Paulo Coelho story. It features a strong female protagonist on a journey to discover herself amidst some very trying circumstances, some of which are beyond her control and others that are of her own making. What didn’t you like about Rita Wolf’s performance? Her narration of male characters all sounded the same to me. 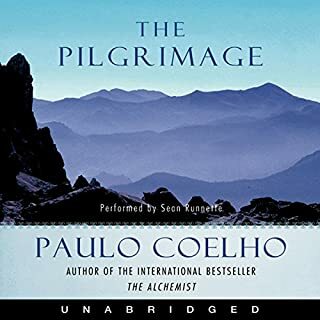 This was a well put together narrative of how the encounters with others in our lives change the person we are and ultimately the person we become. I loved this story. It has been an honour to experience, and the story has become a part of my life in more ways than I can explain. This was my first book by this author and now I am hooked. I enjoyed it so much that I needed to buy it in print. I enjoyed the written copy even more. I love the form and development of this book. Well written and well received. I recommend it. this is my second book by the author. I thoroughly enjoyed it will order more books by him. the narrator did a wonderful job with all the characters involved with a book. loved it!